Concentrated pH neutral cleaner for routine cleaning of natural stone or absorbent surfaces. NEUGEL is a concentrated pH neutral cleaner specifically for routine cleaning of all natural surfaces and those materials that are characterised by a medium or medium-high degree of absorption. 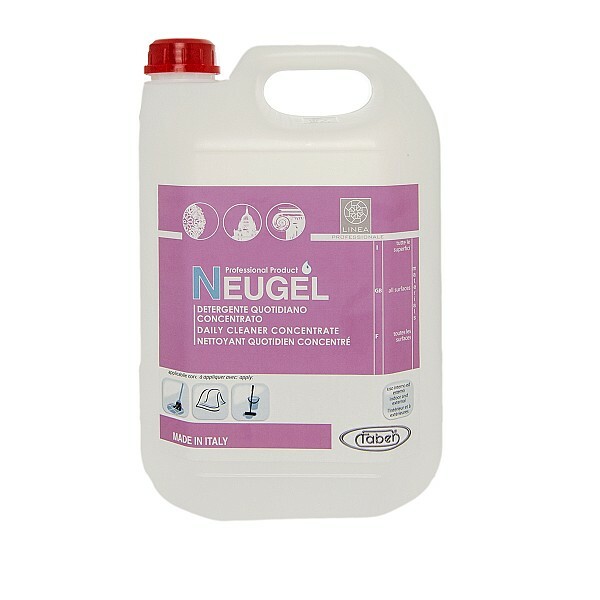 NEUGEL is extremely effective on dirt but gentle on the surfaces it is used to clean. Thanks to the special formula, which is rich in natural ingredients, NEUGEL nourishes surfaces to bring out their full tone and with time, to increase their dirt resistance. This also applies to particularly rough and absorbent materials, such as cotto and terracotta. NEUGEL can be used on waxed or treated floors without affecting the efficiency of the protective treatment. On the contrary, NEUGEL adds to the protective effect of the treatment already applied to the surface. NEUGEL has an excellent surface cleaning action and also leaves behind a pleasant, lasting clean fragrance. NEUGEL is quick and easy to use. It is applied with the traditional surface cleaning tools, needs no rinsing, and its effective dirt-removing action will not damage materials.